The team from PERANA SPORTS is proud to introduce ‘VideoTagger’. 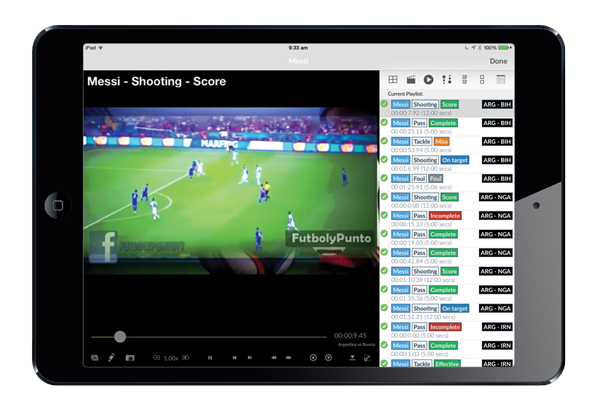 This is a powerful iPad app that brings you to the forefront of video editing. Whether it is sport, performing arts or home video you will be able to quickly edit (tag) your video. Once a project has been created you are able to view the tags (events) on the screen. This will consist of a video screen and an events list. 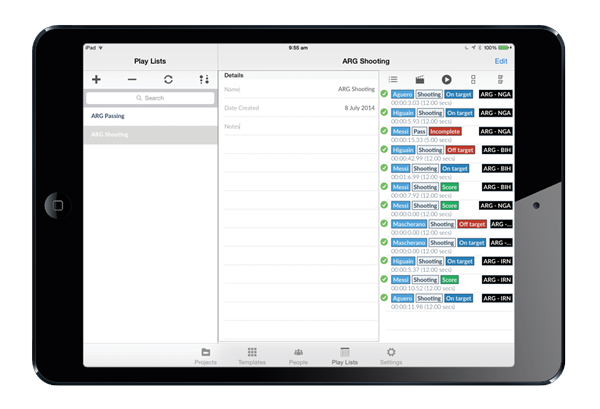 Events can be viewed in slow motion mode, illustrated over or filtered to highlight more specific actions or events. You can also stitch an unlimited number of video together to make a video clip that can be uploaded or exported. Playlist are compiled from existing tags. Once video has been tagged you can access all projects and compile specific playlists from a number of projects. These can be further edited or filtered and stitched into a video or viewed on the screen. 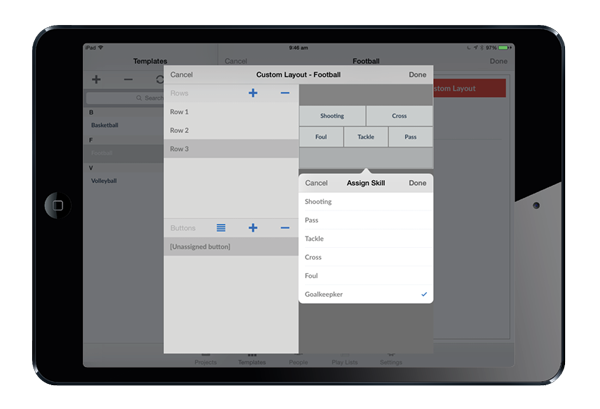 This input allows you to customise your input screen. 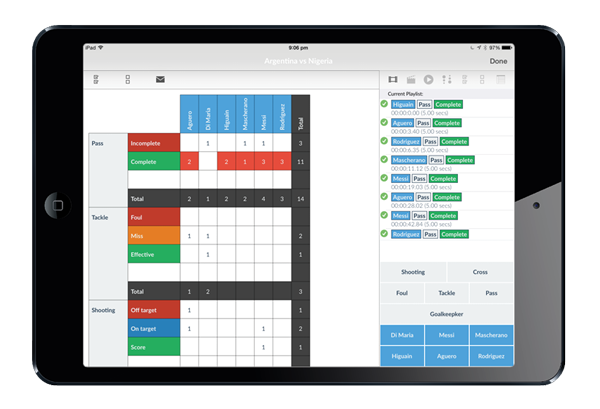 You have the flexibility to add rows to increase the number of events/skills captured, as well as customise the results of the events according to your needs.